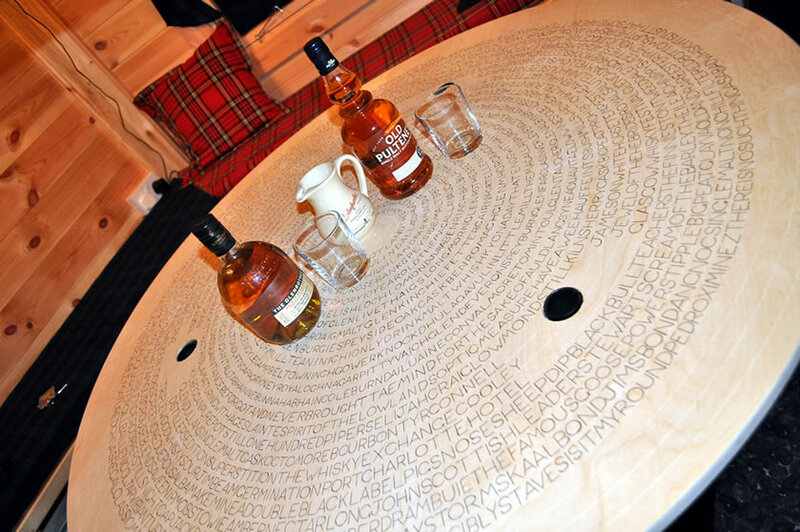 Whisky Tasting Table Top – one of a kind! Yesterday we became the VERY proud owners of this unique, custom made, Whisky Tasting Table Top, the table top fits snuggly into the Whisky Tasting Cabin. At the unvailing last night we were both absolutely blown away with the attention to detail and the craftsmanship that has gone into this piece of art. 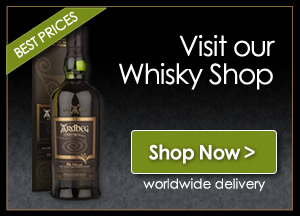 You may have seen the pics and comments on twitter last night @TheWhiskyBoys. You may be wondering why we needed such a thing!, well the reason is because the Whisky Tasting Cabin also doubles up a BBQ hut, so therefore we needed a table to cover over the stove in the center – we don’t like our whiskies falling into the fire pit. So, one of our regular tasters just so happens to be a man who can work wonders with wood, so he volunteered his services to create the “Whisky Table Top”, I am sure he did not anticipate the time and effort required to pull off such a wonderful and purposeful table. If you look closely at the picture you will see literally hundreds of popular – and not so popular – whisky phrases, from many of the distillery names, whisky brands, bar one liners and also some of the whisky making tools of the trade. It is like a giant Whisky wordsearch. It will sure keep us and our guest tasters busy. We are honoring our new whisky asset with an “official opening” of the Tasting Cabin and the Table Top in June. We will be sure to post a full recap and pics of the event.